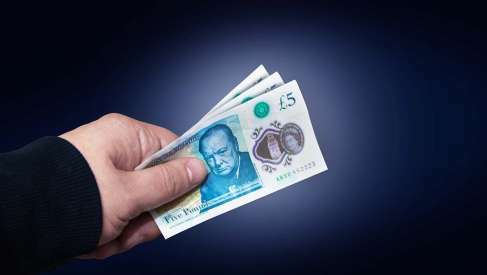 - GBP hits the ropes after Art 50 extension disappoints market. - Brexiteers to demand PM May's resignation at 1922 meeting. - May says she's "not prepared" to delay beyond 30th June. - BMO says not enthusiastic about "owning GBP or EUR now". Sterling suffered heavy losses on Wednesday after Prime Minister Theresa May requested an extension of the Article 50 negotiating window that not only fell short of market hopes, but that has also led to fresh speculation about whether the embattled leader can continue in office. Prime Minister Theresa May said in parliament Wednesday that she's written a letter requesting from the EU a 90-day extension to the Article 50 negotiatiing window that is intended to run between March 29 and June 30. "I'm not prepared to delay Brexit by any later than 30th June," PM May said in the House of Commons. Markets had come to hope during recent days that the requested extension could be as long as two years, and that such a thing would create greater scope for a general election or another referendum to see the entire pursuit called off. This was after the government's plan to have the House of Commons vote on the EU Withdrawal Agreement for a third time inside little more than two months was stopped on Monday, by the Speaker. The EU27 still needs to approve any extension and could yet demand a longer period, for whatever reason, or it could reject the idea entirely. EU leaders could also demand something else in return, such as financial payments, or even an election or second referendum as the price. "It’s sufficient to say here that the GBP is underperforming within G10 so far today as FX investors absorb two things: 1) “cliff edge risk” is not dead, but probably just delayed and 2) a long Article-50 extension is by no means a given. 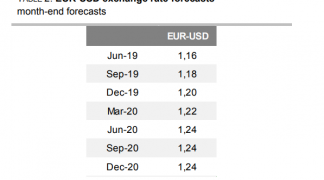 We simply cannot get enthusiastic about owning the EUR and the GBP now," says Stephen Gallo, European head of FX strategy at BMO Capital Markets. 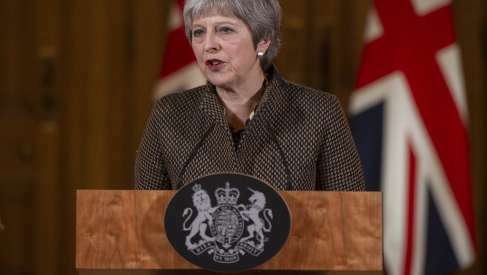 The Telegraph reported Wednesday that Brexiteers within the Conservative Party are up in arms over the request, claiming that they will use a gathering of the influential 1922 committe this evening to demand that she resign. They can't evict her from office for at least another eight months because other MPs already saved her from such a fate in December, which gives her a 12-month period in which another ballot of confidence cannot be called. Will the Prime Minister survive the day? Looks like May’s plan to send a begging letter to the EU is the last straw. Both the backbench 1922 cttee (the men in grey suits) and senior Cabinet Ministers have asked to meet with her today. 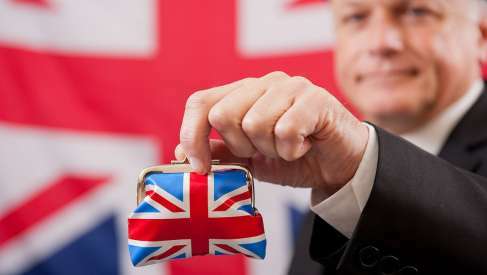 The Pound was quoted -0.83% lower at 1.1588 against the Euro by the London close Wednesday but is still up 4.2% this year, while the Pound-to-Dollar rate was -0.31% lower at 1.3227 but has risen 3.9% this year. The government's plan to have the House of Commons vote on the EU Withdrawal Agreement again was stopped Monday because convention, which is the UK's constitution, states that MPs should not be asked to consider the same question twice inside of the same parliamentary session. A session normally runs for around a year. The implication of the Speakers' ruling is that the Agreement now needs to change meaningfully in substance. If that doesn't happen then the circumstances around its coming before parliament must be meaningfully different. However, PM May's letter to the European Council's Donald Tusk made clear the game that could now be afoot in parliament. And it's one that would eventually be welcomed by Pound Sterling and financial markets. "Only an extension of the withdrawal period now remains," says Richard Falkenhäll, a Strategist at Scandinavian lender and investment bank SEB. Sterling remains firmly in the hands of Brexit, with the Pound-to-Euro exchange rate trading towards the top end of a broad multi-month 1.17-to-1.14 range, with a near-two year high located at 1.18. Whether or not there is an extension to the Brexit process will determine where the UK currency goes next. Will it break up and out of the range, or will it fall back towards the bottom of the range? Indeed, could it drop out of the range entirely? We are told a break towards the bottom of the range will happen if EU governments do not agree the extension. "We expect any decision on an extension will only be marginally positive for the GBP. If EU27 rejects an extension, which we cannot rule out given the more hawkish Brexit stance among EU 27 leaders compared to the EU Commission (10% probability) we should see EUR/GBP break above 0.87," says Piet P.H. Christiansen, an analyst at Danske Bank. A EUR/GBP break above 0.87 would see a move lower in the GBP/EUR rate, to below 1.14. 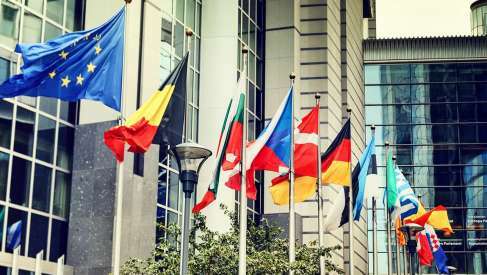 Deputy Chief Spokeswoman of the EU Commission Mina Andreeva said on Wednesday that Brussels is yet to receive a letter asking for a Brexit extension but, they may, reluctantly, be keen to keep talking. "Haven’t received yet letter from Theresa May. EU did everything we could to accommodate requests of UK but still no backing for Withdrawal Agreement. EU Council could meet next week again but patience wearing thin," says Andreeva.